January 2014 - Pebbles, Inc.
We love any opportunity to take a Pebbles embellishment and use it in a unique way. 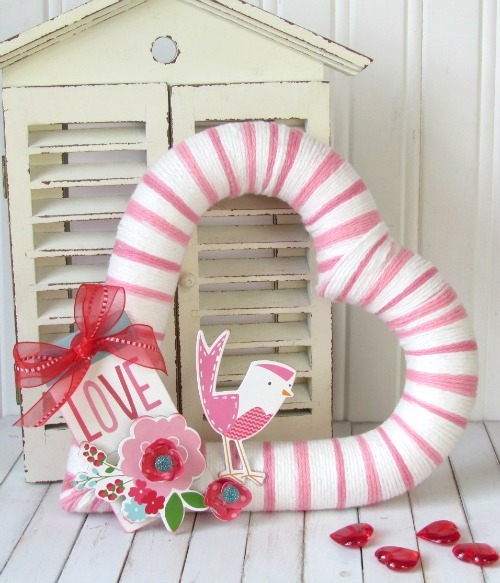 See how Designer Holly Gagnon used Pebbles in finishing off a fun yarn wrapped Valentine’s Day Wreath. I love the look and feel of yarn. 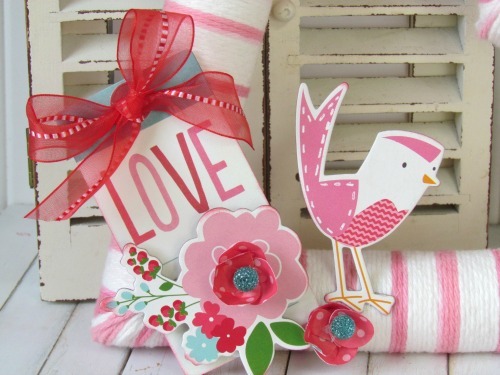 I don’t know how to knit or crochet but I do know how to wrap things in yarn and that’s exactly what I did to make this Valentine’s Decor project using the Pebbles Yours Truly collection. 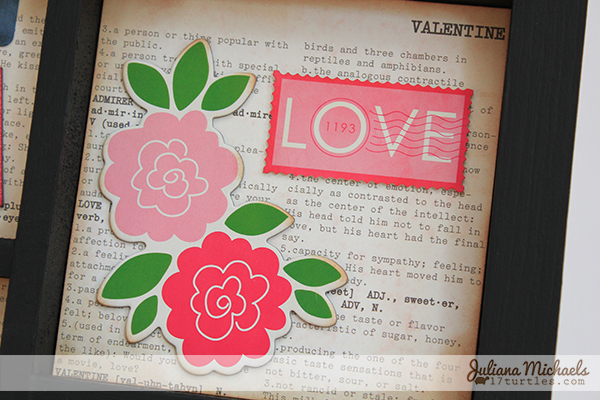 I embellished the yarn wrapped heart with Yours Truly Chips, a Love Tag and flowers cut from an Avery Elle Flower Die. 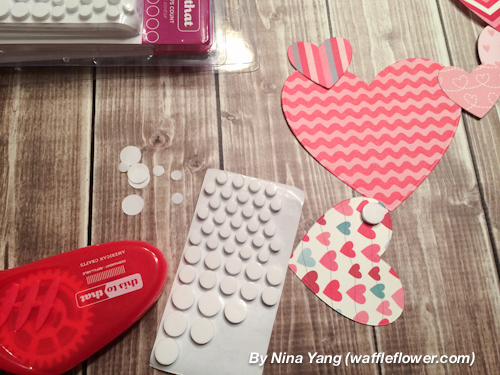 This simple Valentine’s Decor project really shows off how beautiful the Pebbles Yours Truly collection is. 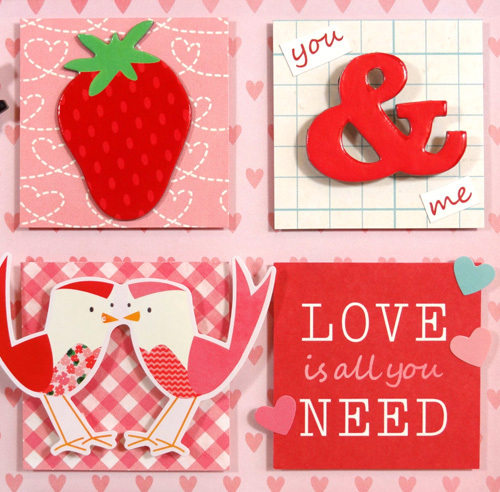 Looking for a little “love-ly” Valentine’s Day decor for your home? 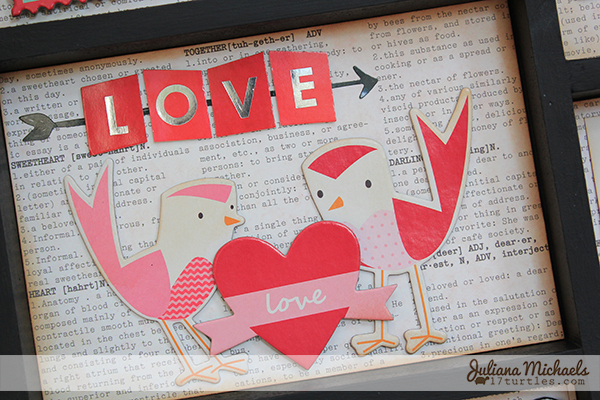 We’re excited to share Designer Juliana Michaels love birds Valentine art with you today. I love to decorate for all of the holidays, and Valentine’s Day is no exception. 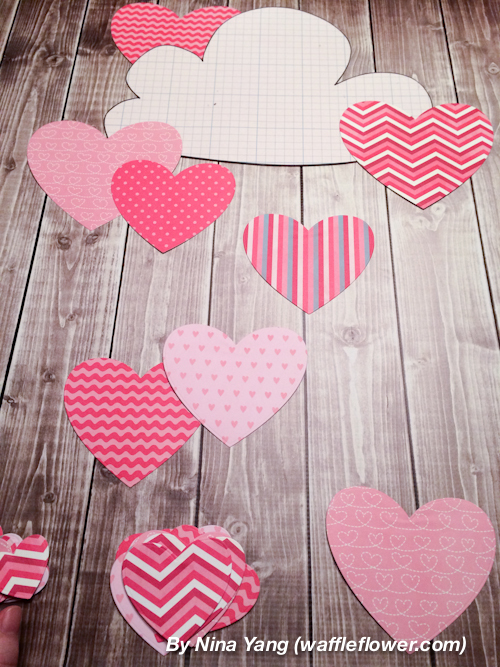 If you are looking for a simple way to add a touch of “love” to your Valentine’s Day home decor, then you are sure to fall head over heels for the project I have to share with you. I purchased a plain wooden frame from my local craft store and decorated it using the Pebbles Inc. Yours Truly collection. For a brief tutorial on how I painted the wood frame, please visit my blog 17turtles. 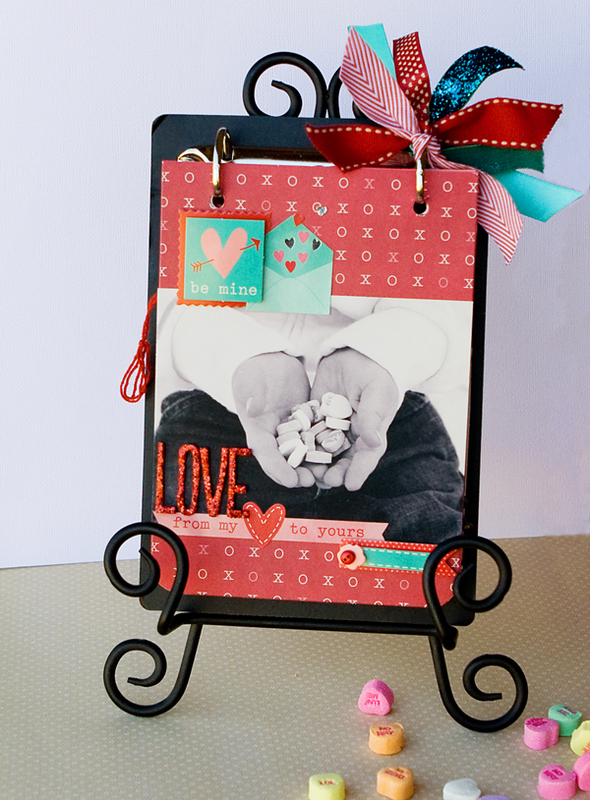 Once you have painted the frame, select a sheet a patterned paper. 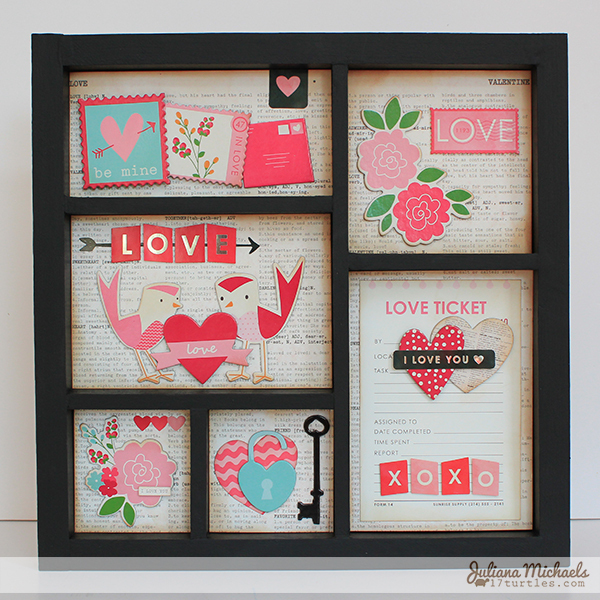 Measure each of the openings inside the frame and trim your paper to fit. Ink the edges of each piece of paper. The next step is to begin building little collages using various Yours Truly Chip Shapes and Icon Stickers. After you have composed each piece, adhere them into their respective openings. 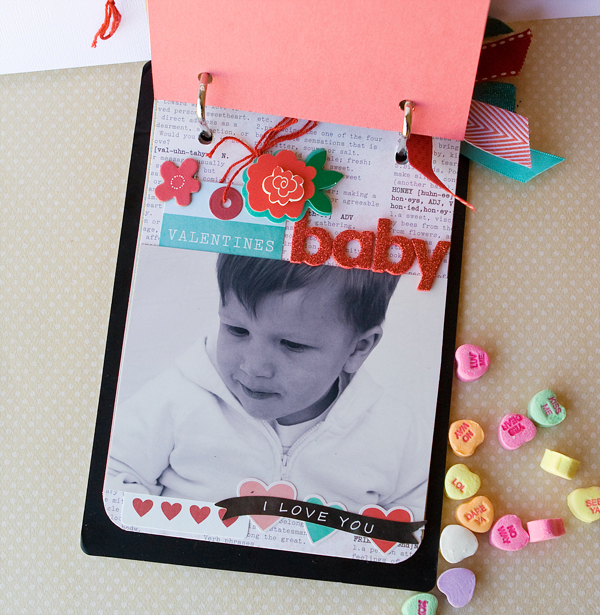 An easy to tip to allow you to reuse this frame for another holiday is to adhere the papers into the openings with removable adhesive. Now your piece is ready to bring a little “love” to everyone who sees it! 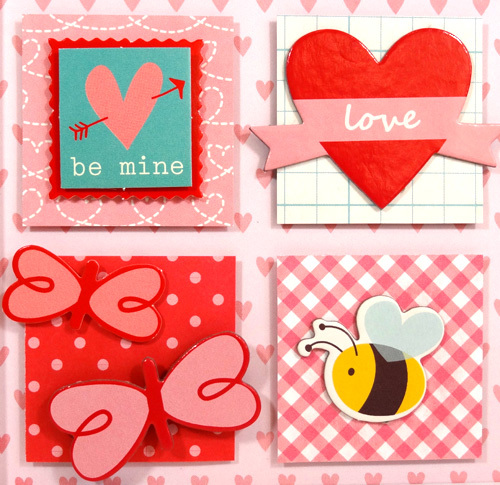 With Valentine’s Day right around the corner, we’re gearing up with fun decor all week. 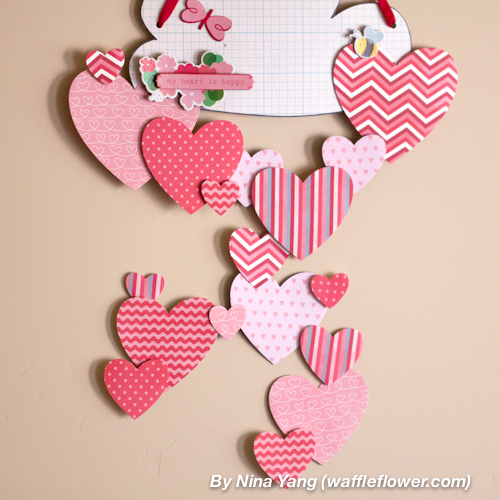 Today Designer Nina Yang is sharing a fun Valentine’s Day wall decoration. Hello everyone! 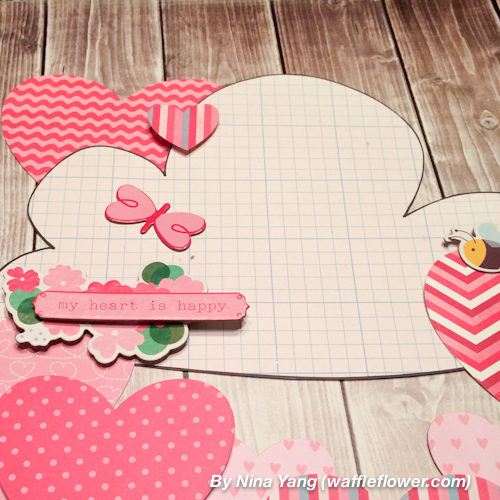 Nina here again to share a happy hearts wall decoration for Valentine’s Day. I die cut a bunch of hearts from some of my favorite patterns from Pebbles Yours Truly collection and started layering them to create a whimsy pattern. 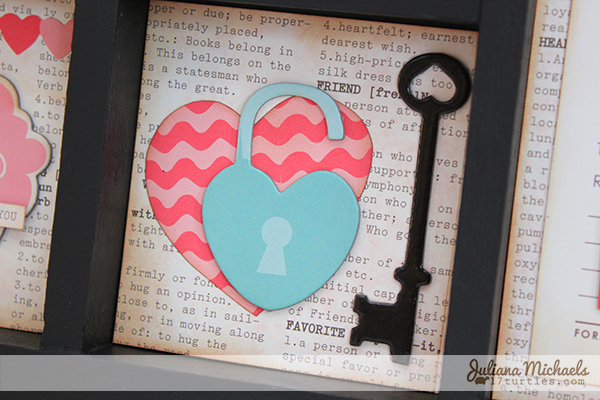 With some foam adhesive, I was able to create multiple layers with the hearts for a fun dimensional look. I also added a few printed chipboard shapes for some visual interest. The project was put together fairly quickly and I had a lot of fun playing with the patterns. If you are interested in seeing more step photos or a free pattern of the cloud I used in the project, please visit my blog. 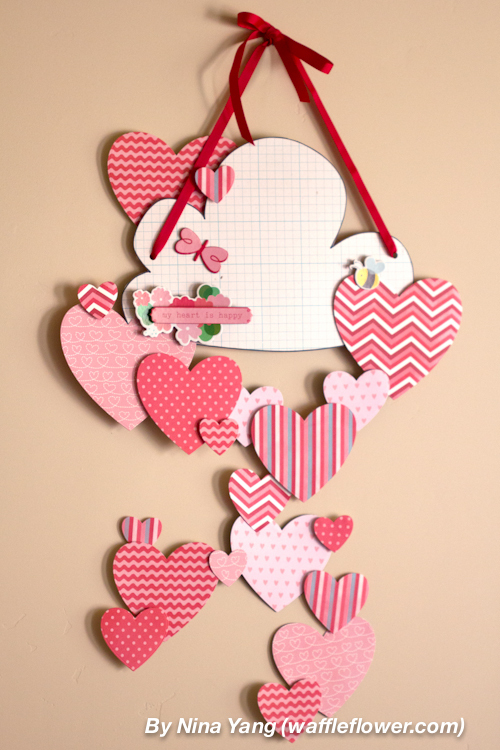 Looking to add a little fun Valentine’s Day home decor to your space before the holiday? 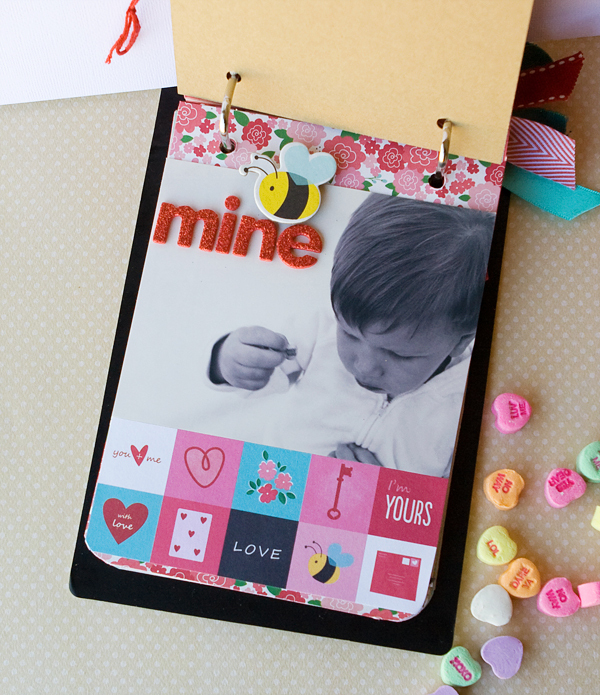 Working with paper and embellishments makes this cute project created by Designer Amanda Coleman easy to accomplish in a short amount of time! 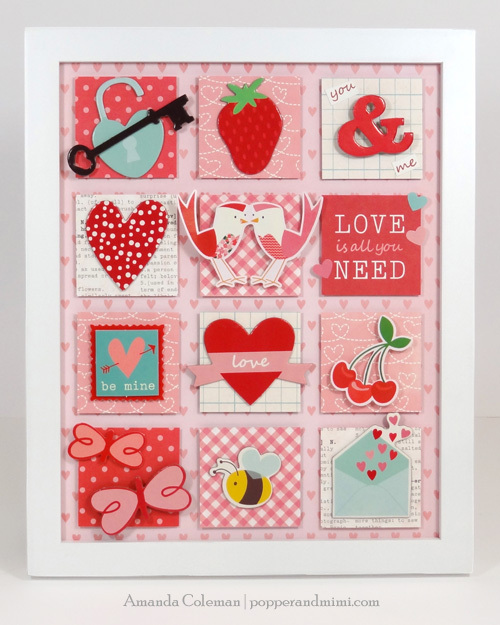 The icons in the Yours Truly collection are so fun and festive I couldn’t resist making a piece of Valentine’s Day home decor to show them off. I created this piece of decor by mounting several 2″ squares on an 8″x10″ piece of paper with foam squares and inserting it into a frame. I embellished each square with chipboard die cuts and stickers. 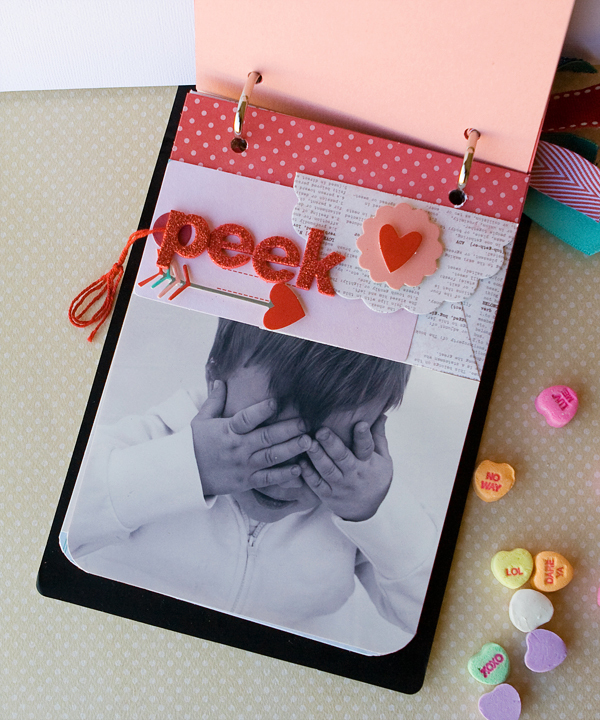 This decor would be easy to reproduce with your favorite papers and embellishments. The bright and colorful lovebirds are my favorite icon in the whole collection. And doesn’t that strawberry look good enough to eat? Another one of my favorite icons is the fat, little bumblebee, complete with heart-shaped wings. I think he looks darling against the pink gingham.